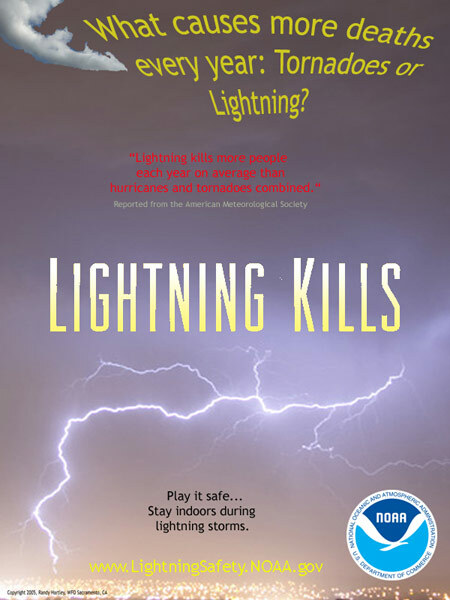 The National Weather Service has a good site about Lightning Safety with some interesting facts about the risks of lightning and how to reduce your chance of being struck. By mid year 2008 -- 24 people had died from lightning strikes. In 2007 -- 45 people were struck by lightning and killed. The following facts are about the lightning deaths in 2007.
and many more interesting and informative sources. Some information about Hurricanes and lightning.